This week sees the debut single release from South London's Birdman Culture, with their track 'Rolling Thunder'. 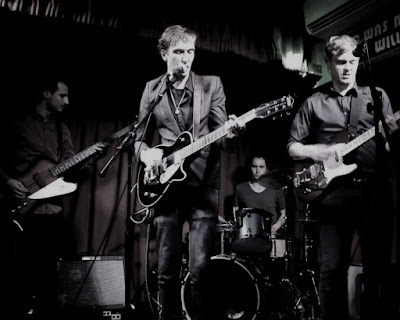 The 4-piece who are comprised of James Daniels (vocals, guitars), Alex Cutting (vocals, guitars), John Box (drums), and Gaetano Montalto (bass) have been together for a year or two, and have played numerous gigs across London including headline shows. 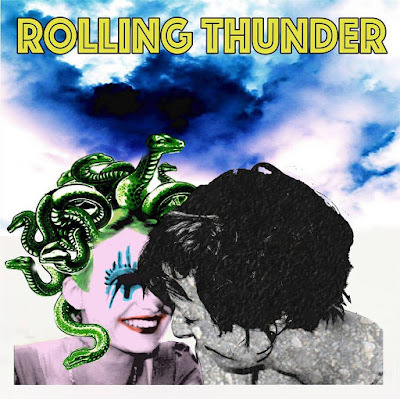 Rolling Thunder is the perfect introduction to Birdman Culture, encompassing the bands strong penchant for garage rock which is always underpinned by clear song writing and pop sensibilities. Comparisons can be drawn with the likes of Hanni El Khatib, The Black Keys, and Queens Of The Stone Age, with the bands self confessed love of 'heavy riffage and gritty vocals' clearly coming to the fore on this track. There's a real ebb and flow as the band mix up the tempo, which when coupled with the distinctive vocals of James Daniels leads to a rewarding experience for the listener. Rolling Thunder is available now through all good digital retailers.